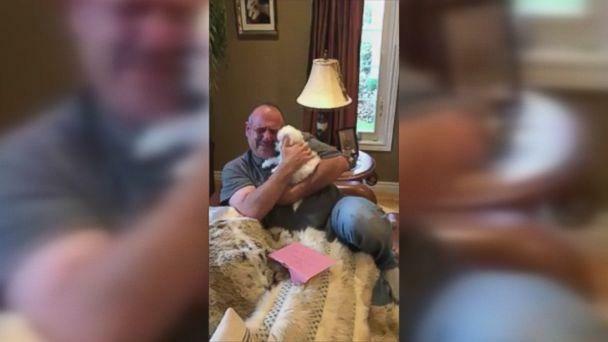 James Xuereb of Ontario was overcome with emotion when his family surprised him with a new bichon frise puppy. They caught his overwhelmed reaction on camera as he turned into a puddle of tears over the new addition to the family. 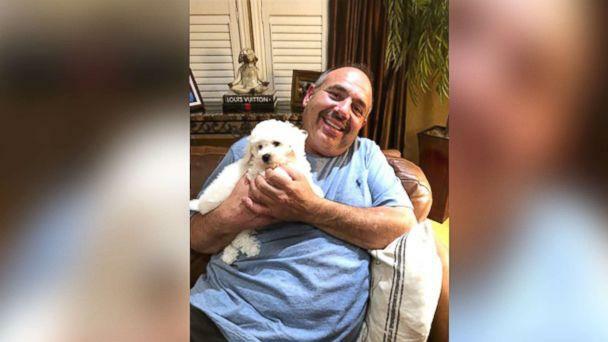 “These dogs are my dad’s life,” his daughter Jaleen Xuereb told ABC News. Two of their beloved dogs, Nemo and Lucy, recently died from congestive heart failure and old age, and James Xuereb had been extremely upset about it. “Honestly, we didn’t know what to expect. The loss of our two dogs was devastating for him and we weren’t entirely sure if he was ready or not,” Jaleen Xuereb said of her dad’s reaction to the surprise. 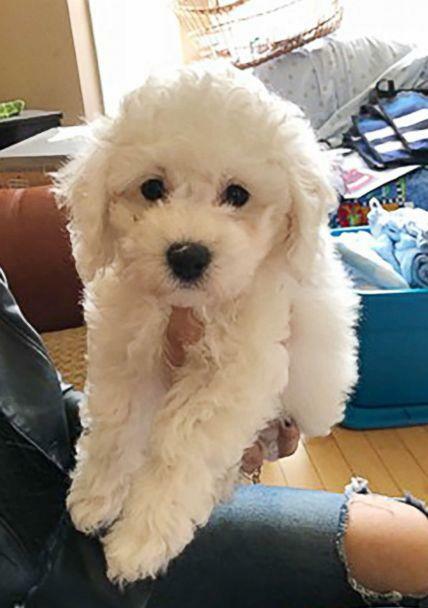 But when she began hearing her dad make comments to their surviving dog, Mini, about needing a friend, Jaleen Xuereb and her mom, Wanda Xuereb, knew it was time to get a new puppy. 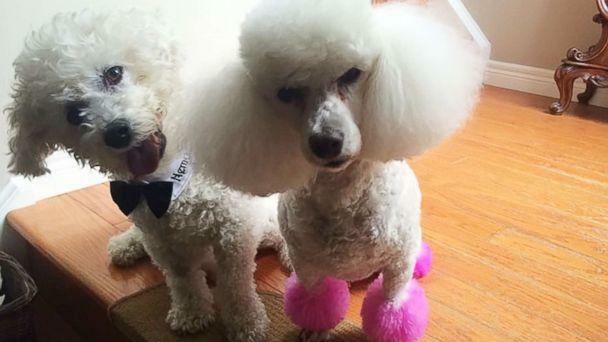 They got their fluffy, four-legged friend from breeder Fern Flett of Bichon Lovers in Ontario. Right away, they knew he was the one. “When I was talking to the breeder, I was signing all the papers and he kept climbing on my leg and barking at me,” said Wanda Xuereb. “The girls were sitting on the floor and every time, he kept coming back to them. The family wrote a touching card from the puppy's perspective to James Xuereb "to bring some happiness back into your life." 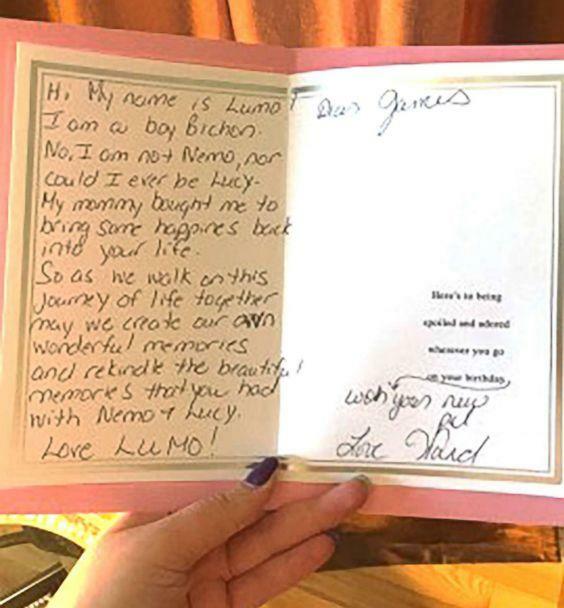 They’ve affectionately named him Lumo, a combination of both Lucy and Nemo, in their memory. Wanda Xuereb said she knew her husband would cry at the surprise but had no idea he’d get this emotional.